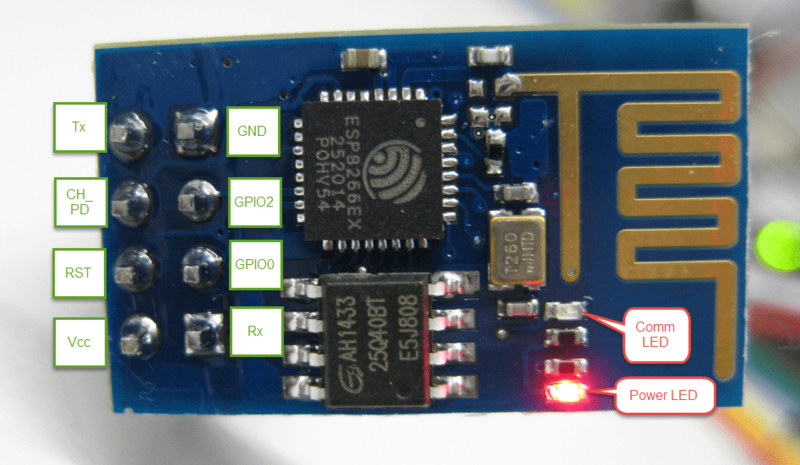 The ESP8266 is a simple standalone addon for any board that works fine with Arduino and only cost less than 4€ on ebay. It can operate as a device or an AP can gives wireless network connectivity to your application. It is interfaced with Arduino based on a serial line. The only problem of a such thing ( as for most of wifi chip ) is the power consumption. It requires about 150mA to run ; a lot for batteries. This entry was posted in Hardware and tagged arduino, esp8266, wifi. Bookmark the permalink.